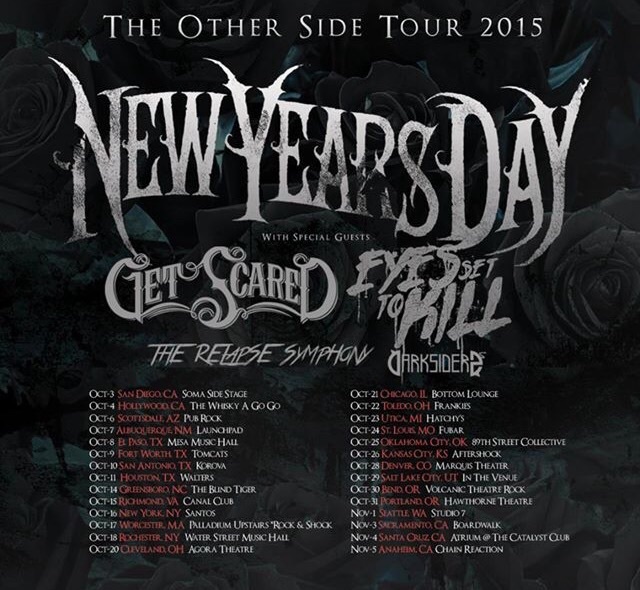 New Volume will no longer be opening on New Years Day’s fall headlining tour. Taking their place will be The Relapse Symphony and Darksiderz. Other bands set to perform include Get Scared, and Eyes Set To Kill. This entry was posted in New Years Day, News and tagged Darksiderz, Eyes Set to Kill, Get Scared, Metal, New Volume, New Years Day, Rock, The Relapse Symphony, Tour. Bookmark the permalink.